The huge smile on the face of Kenya’s first-ever Winter Olympian Philip Boit at the bottom of the slope said it all. 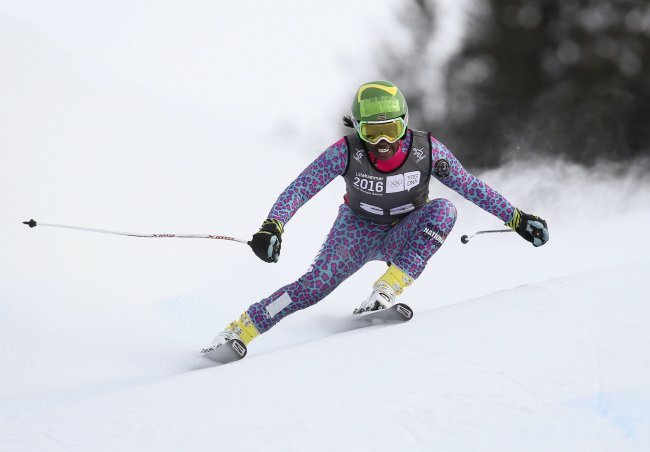 Compatriot Sabrina Simader finished 23rd in the 44-strong field in the ladies’ super-G in Saturday’s opening alpine skiing event at the Lillehammer 2016 Winter Youth Olympic Games.She is Kenya's sole competitor in the games in Norway. The 17-year-old Kenyan, who lives and trains in Austria, finished 5.16 seconds behind Austrian winner Nadine Fest who claimed the gold medal in 1 minute, 11.93 seconds, ahead of compatriot Julia Scheib (1:12.56) and Swiss bronze medallist Aline Danioth (1:12.69). But her performance on the Hafjell Olympic Slope was so confident that former cross-country skier Boit, who competed at three Winter Olympics in 1998, 2002 and 2006, was already predicting that Simader will become the first Kenyan ever to win a medal in skiing in the future. “When I was competing, I used to predict that in 10 years’ time you would maybe see a Kenyan win a gold medal and people would say ‘you are joking’,” Boit said. “But I can see my dream is going somewhere. “The way she is skiing at 17, I think that by the time she is 20, we can get a medal. I promise that. She lives in Austria and is training there, so why, in two years’ time, can’t we get a medal?”Boit, who now spends his days coaching Kenyan cross-country skiers in his homeland (on roller skates because of the lack of snow) was quick to congratulate Simader personally on her performance. The teenager spent the first three years of her life in Kenya, before moving to Austria, after her mother, Sarah, met her stepfather, Josef, who runs a ski lift in the resort of Hansberg. Sabrina had never seen snow before that first winter at the age of three, but she was soon learning at a ski school in Schladming, moving up the ranks and training beside young Austrians. “I remember the first time I came across snow and my fingers were frozen because I lost my gloves,” the teenager said. “But now I have fun. I went to ski school and step by step I am going up.”Initially, the news of her love of skiing did not go down so well with her family back in Kenya. Simader’s role model is the hugely successful US alpine skier, Olympic medallist and YOG Ambassador Lindsey Vonn, and the Kenyan is confident of racing fast enough to qualify for PyeongChang 2018. “I like Lindsey because she is fast, nice and has fun,” she said. “My goal is to make the full Olympics. In South Korea, I’m there.” The medals in the men’s super-G were also dominated by traditionally strong alpine skiing countries, with the USA’s racer River Radamus winning in 1:10.62, just 0.03 seconds ahead of Italian Pietro Canzio (1:10.65) and third-placed Austrian Manuel Traninger (1:11.03). But International Olympic Committee (IOC) President Thomas Bach, who chatted with some of the female skiers after the race, including gold medallist Fest, may have also seen a Kenyan skier who will become as welcome at the Winter Olympics as Boit was in the past. “After leaving it myself and retiring, it is so nice to see another athlete picking it up from me. This shows that she is really serious,” Boit said.